Modicare Consultant – Modicare is the leading marketing group in India. Medicare seeking for passionate, enthusiastic, flexible team players to be a part of the team at various levels across India. If you are looking for to earn money through online business then you can join the Modicare network as a consultant. Modicare Business plan provides a better platform and stimulating work environment that empowers people to grow as professionals. 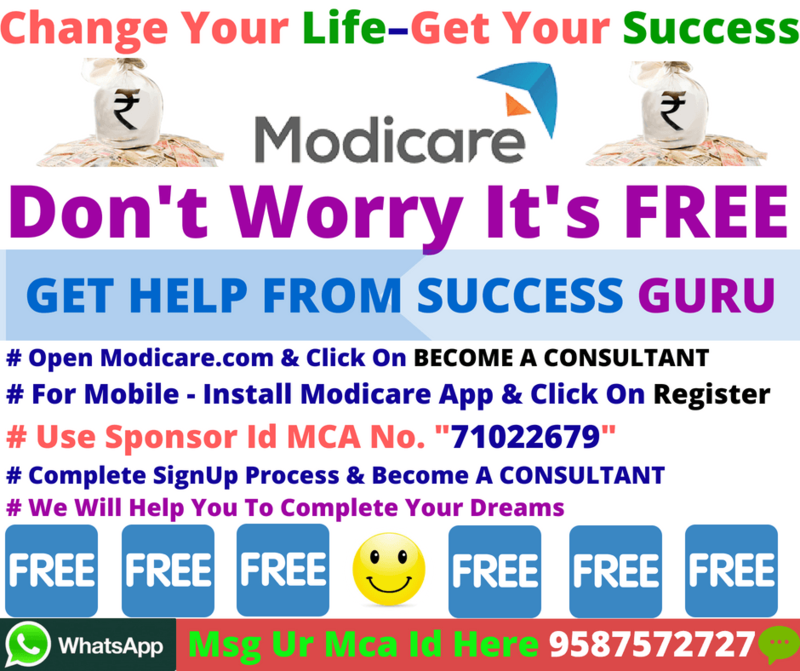 You can join the modicare business as a Modicare Consultant without paying anything. 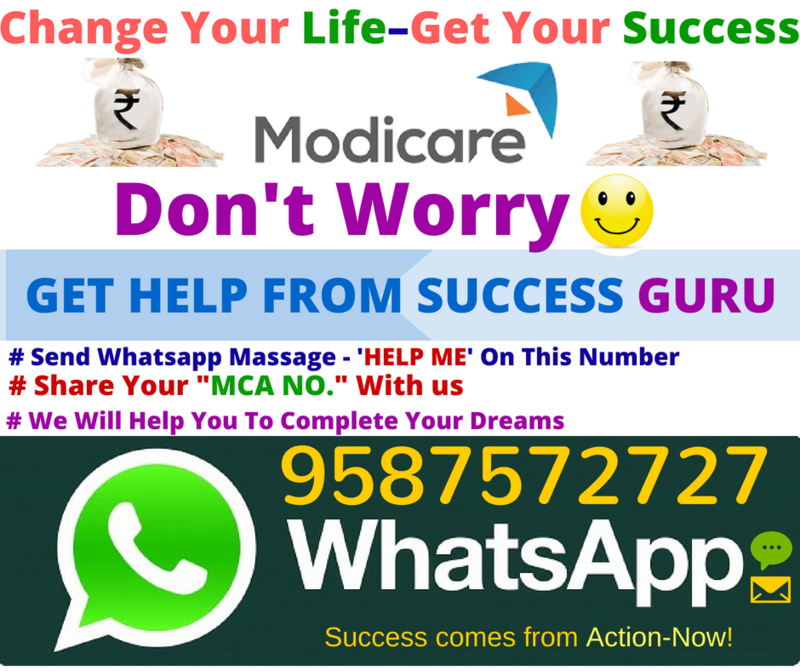 You can earn lots of money by becoming a Modicare Consultant. Now you are looking for how can we register yourself as a Modicare Consultant. So here we are going to mention detailed steps for Modicare Online Registration. If you want to join Modicare business then first you have to register yourself under modicare network which is a very easy process and completely free. To become a consultant first you need to access the official website page of Modicare group. Here you can see Become A Consultant link which is shown in the above image. Now go through an Application or Online Registration process to become a Modicare Consultant. To become Modicare Consultant first access the official website page by below link. After authentication, you can see Become A Consultant link. Click on that link to complete the online registration process. Now it will ask you for Sponsor MCA No which needs to be filled for further process. Fill Sponsor’s MCA No. which is mandatory for all people. Once you entered Sponsor MCA NO it will ask you for Personal Details. You have to fill out all personal details carefully. Here you have to enter Name, Gender, Email ID, DOB and Mobile number in the required fields. In the next section, you have to enter your address details which are required to complete the Modicare Consultant Registration process. Now you have to fill out all the required fields which are shown in the above image. Your address details must be correct to complete the application process for Modicare Consultant. Click on Applied for Pan Card check box. Now click on submit button, the system will redirect you on another page. Now upload Address Proof and Photo Identity Proof and then click on Register button. You will get a confirmation message on your mobile number with your Consultant MCA NO and Password. Now you will be able to Sign In on your account as a Modicare Consultant. So that’s all about Modicare Sign Up or Online Registration process. We hope all of you easily understand how can we apply for Modicare Consultant with the help of detailed stepwise instruction. Don’t miss this opportunity to earn money from the modicare business, so join this market business plan now and start earning.